Pastor Allen Ewing-Merrill serves as the Executive Director of Hope Acts, a new secular not-for-profit organization in Portland providing a range of services to both recent immigrants seeking asylum and people recovering from addiction. One morning in the spring of 2014, I met up with him to hear more about his work. 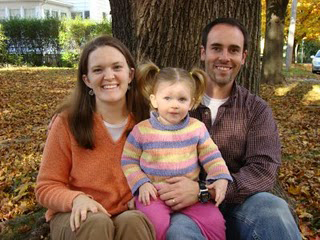 Although a Maine native, Ewing-Merrill has only been in Portland since 2007, when he and his wife, Pastor Sara Ewing-Merrill, moved to the city to rebuild a Methodist congregation in the area. With roots dating back to 1795, Methodism has a strong history in Portland, but recent years had seen a dramatic drop-off in participation and things were stagnating so badly that the congregation had sold their glorious building on Chestnut Street to developers who converted the former church into a high-end nightclub. As Ewing-Merrill describes it, they basically started from nothing, holding prayer meetings at their new home in the Oakdale neighborhood, sharing food, singing songs and hatching plans. Hope Acts began working with new immigrants shortly thereafter, connecting primarily with asylum seekers from Burundi, Angola and the Democratic Republic of Congo. In 2011, Ewing-Merrill, in collaboration with community leaders from the recent immigrant population, hosted a meeting at the church at which over 20 asylum seekers showed up and worked together to develop a list of over 40 resources that their community needed, ranging from jobs to housing to legal aid to winter clothes and help with English. Today, Hope Acts supports this population in a number of ways – they host a legal clinic with two part-time, pro bono immigration attorneys, sustain weekly conversation groups for learners of English and organize community support for immigration rights advocacy. Most significantly, this year, in collaboration with local real estate developer Richard Berman, Hope Acts opened a new residential facility in Parkside, the Hope House, which provides temporary housing to 13 asylum seekers. While it is growing rapidly, Hope Acts is still a very small organization. Their annual operating budget is $180,000 – $100,000 of which goes into base-level operations costs for the Hope House (Berman provides the space rent-free) – and it is staffed by only three, part-time employees, including Ewing-Merrill, who receives most of his income from the church for his role as a minister. The organization’s funding comes from a mix of small grants from private foundations and a donor base of 150 local benefactors. In 2009, human services non-profits like this comprised 33% of Maine’s 2,935 non-profit organizations; and, with a few part-time people on a small budget providing some simple services to their community, Hope Acts looks like many other groups in this category. Indeed groups in this category tend to be small, accounting for only 14% of non-profit expenditures. On some level, Ewing-Merrill’s approach to non-profit management, as successful as Hope Acts has been with it, seems to go against conventional non-profit management wisdom. Instead of dutifully executing a five-year strategic plan, Ewing-Merrill says that running Hope Acts is “like we’re assembling an airplane in mid-air.” Instead of doing market research to quantify social need and assess competition, Hope Acts bases its programming on who walks through the door of the church, and they delight in all of the good work that others are doing around them, eager to be supportive wherever possible. They have analyzed no data, taken no government contracts and have done no “seamless integration” of anything. What they have done, however, is be present and consistent in the lives of people who are suffering, stripping away the bureaucracy and the quantitative success metrics, and returning to a place of genuine love. Addicts and immigrants might seem like really disparate populations, says Ewing-Merrill, “but both groups are people who’ve been displaced and are dealing with trauma in their past and are trying to start their lives over.” As the Tea Party continues to attack the pillars of the welfare state, secular progressive organizations like this, which aren’t just “community-based” in name but in function, offer a ray of hope. As I see it, it is precisely this openness to being in community with the junkies and refugees who others have cast out that makes Ewing-Merrill an attractive partner to people like Berman, the real estate developer who has offered Hope Acts a five-year rent-free lease on a building worth well over half a million dollars – even the wealthy want to be part of a beloved community. Similarly, as Maine’s mental health system continues to reel from the closing of the Augusta Mental Health Institute in 2004 and the recent announcement that up to $4.7 million may be cut from Maine’s Mental Health budget this year, groups like Hope Acts, which don’t just provide services, but also provide space and resources for folks to self-organize their own meetings and networks, may become increasingly important. And, unlike groups that are beholden to State funding and must therefore limit their political activity or risk biting the hands that feed them, Hope Acts is free to take bold political stands, speaking out against injustice and demanding amnesty for Portland’s refugees with divine righteousness. Perhaps, this strategy will change as the organization grows – Ewing-Merrill readily admits that Hope Acts currently lacks the tracking and recording capacity necessary to secure most federal grants – but, for now, their dedication to approaching the world around them with love and their willingness to be open and adaptive to the needs and dreams of those who are suffering seems to be enabling this small non-profit to feed the multitudes with very few loaves and fishes. This entry was posted in stories on December 6, 2014 by admin.